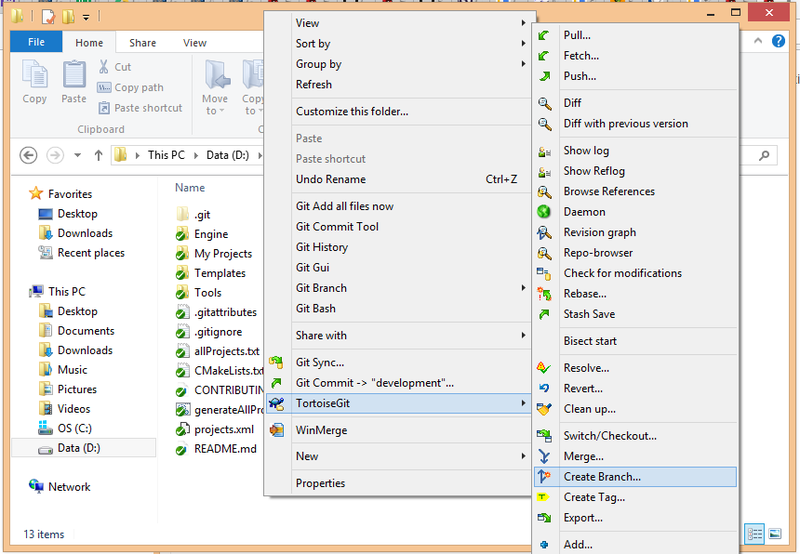 This page will cover how to go about creating a new branch in your local git repository. Branches are useful in keeping different work separated without needing to create a bunch of working copies of the codebase. Once the engine is downloaded, we can create a new branch to pull a PR into to test it. 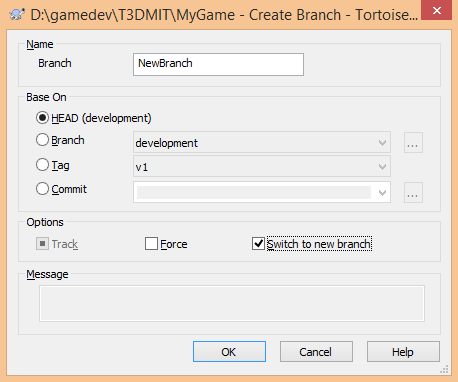 To create a new branch, fill in the box next to the obviously named "New Branch" option, and give the new branch a name. Usually you'd name the branch something associated to the changes happening, or if something is being tested, so you can easily tell them apart. We'll name the new branch "NewBranch". Once that's done, click OK.
You can easily tell which branch we're on by clicking RMB and looking at the "Git Commit -> " option. 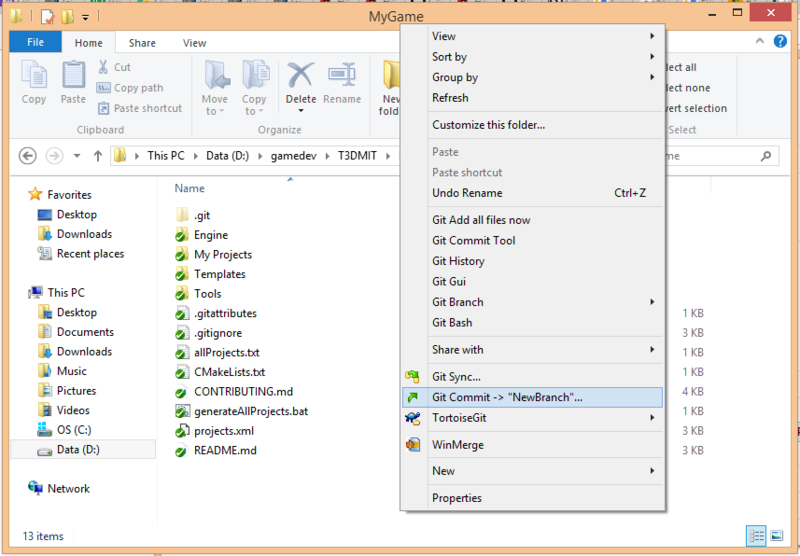 That command is for commiting any changes we've made to the currently selected branch. In our case, it'll say "Git Commit -> "NewBranch"", because we just created and switched to our new branch. You can now do whatever work you need to do and as long as you commit it to the branch, these changes will be retained in the branch history, even if you switch branches.